The information that Samsung has launched a smartphone with a curved display, known as Galaxy Round, has turned out to be incorrect in a way. 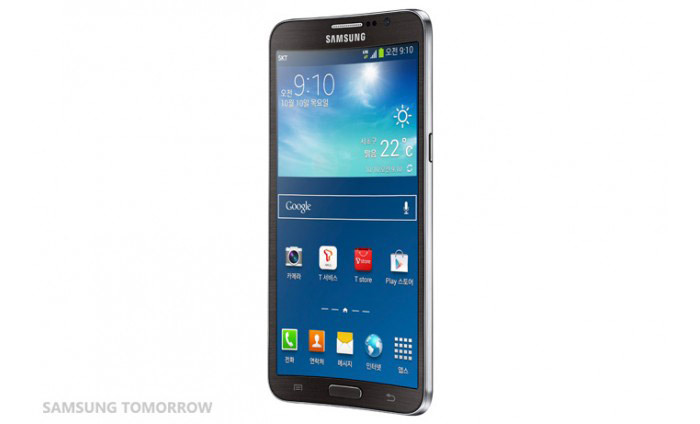 Such a smartphone exists – it’s just that Samsung does not plan to mass produce the device. Instead the South Korean tech giant wants to just test curved OLED displays and the Galaxy Round has turned to be the perfect smartphone to test the new technology on. Unfortunately due to a number of risks Samsung does not want to produce millions of it – instead there will be very limited numbers of this smartphone and it will likely remain inside South Korea only. It turns out that there will be no Galaxy Round for smartphone fans. Here’s a quick reminder on what the Galaxy Round had to be – a smartphone that measures 151.1 x 79.6 x 7.9 mm and weighs 154 grams – these dimensions pack a Qualcomm Snapdragon 800 processor with four cores at 2.3 GHz, Adreno 330 graphics, support for LTE, 3 GB of RAM, 32 GB of internal memory, a microSD card slot, 802.11n Wi-Fi, rear 13 MP and front 2 MP cameras, Bluetooth 4.0, NFC, a USB 3.0 port and a 2800 mAh battery. The device runs Android 4.3.